Synopsis: Sixteen years ago the Kingdom of Winter was conquered and its citizens enslaved, leaving them without magic or a monarch. Now, the Winterians’ only hope for freedom is the eight survivors who managed to escape, and who have been waiting for the opportunity to steal back Winter’s magic and rebuild the kingdom ever since. My thoughts: I was initially wary of the hype surrounding this book because I had been promised so many things: an entirely unique world, a lot of action sequences, a well-written high fantasy, a kickass heroine and a bunch of amazing secondary characters. Oh, and a plot twist you'll never see coming. While I did get most of these things, I think because I (correctly) guessed the plot twist about 25% into the book, I didn't enjoy this book as much as I could've. The world in Snow Like Ashes is fairly basic: there are eight kingdoms - four Seasons and four Rhythms - and each has their own conduit filled with magic. Spring is ruled by Angra, who may or may not be immortal and who is definitely hellbent on destroying Winter. Why he is so focused on doing so is never explained, and I suspect that it may be a more significant plot-point in the next two books. Just as Winter focused its magic on mining, Coredell focuses its conduit on opportunity - on helping its citizens work a situation in their favor so they get the most out of it. Opportunistic, resourceful, swindlers: whatever they're called, they can make "leaves turn to gold"--a Cordellan phrase Sir explained in our many lessons, referring to the fact that they're so good at turning a profit it's as if they make leaves on a tree turn into gold coins. That explains Captain Dominick's curse earlier - golden leaves. I appreciated that things didn't just magically slide into place and the Winterians didn't go in, guns blazing and no real battle plan. We actually got to see the Winterians making plans, preparing for invading and fighting. I became emotionally invested in the Winterians fight to get their magic back, and felt for them when things didn't go their way. One little point of irritation (like, I'm being nit-picky here) was the names of the capitals: Juli (Summer), Ocktuber (Autumn), Jannuari (Winter), Abril (Spring). It's all well and good if you live somewhere in the Northern Hemisphere, but I live in Australia, so January doesn't exactly conjure up images of snow and frost. It pulled me out of the story when I first came across it, and left me feeling like the book wasn't as polished as it could've been. "Meira, this isn't going to fix anything -"
"I've talked to him every day since he announced the engagement; if I can't change his mind -"
I grit my teeth. "I. Don't. Care." I could understand why Meira was upset - I think anyone would be in the situation she was in - but I was frustrated by her refusing to listen to reason and throwing a tantrum like a two year old. That said, her emotions did come across as natural for a teenager - you expect a sixteen-year-old girl to be moody and confused by her emotions and sometimes unable to properly express what she's feeling or explain why she's feeling the way she does. While I was frustrated by her throwing tantrums, I could remember throwing some of my own as a teen - Meira is definitely a relatable heroine. I really enjoyed Meira's relationship with her guardian, Sir. It's an awkward relationship - he's the only father figure in her life, yet he keeps her at arm's length. She constantly strives for his approval, yet never seems to attain it. She is frustrated by the boundaries he sets for her and fights him constantly. Yet Sir quite obviously cares for her, it is only Meira who cannot see it. It was a joy to watch that relationship unfold and develop. 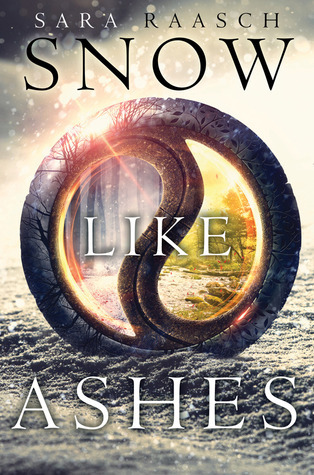 There is a love triangle in Snow Like Ashes - which I was disappointed, but not surprised, by. When we first met Meira, she is in love with her childhood friend, Mather, who is the King of Winter (in name only). He looks out for Meira, and it is suggested that he also has feelings for her, but circumstances lead to Meira being in an arranged engagement with Theron, the Prince of Cordell. While Meira also develops feelings for Theron, it still feels natural. It's not insta-love, it's more like a spike in teenage hormones. 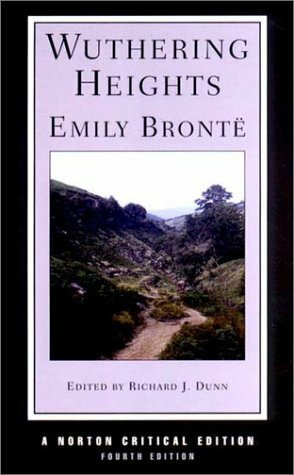 The romantic sub-plot also didn't overwhelm the book, which I appreciated. Snow Like Ashes is a solid read. It does exactly what the first book in a trilogy should do: introduce a world and its characters, help set up the next two books. Raasch is a wonderful writer - I found the way she writes to be engaging and absorbing, and her characterisation is some of the best I've seen in YA fantasy. That said, this book could've done with some tighter editing. I believe this trilogy will only get better with the sequels, and I cannot wait for Ice Like Fire!